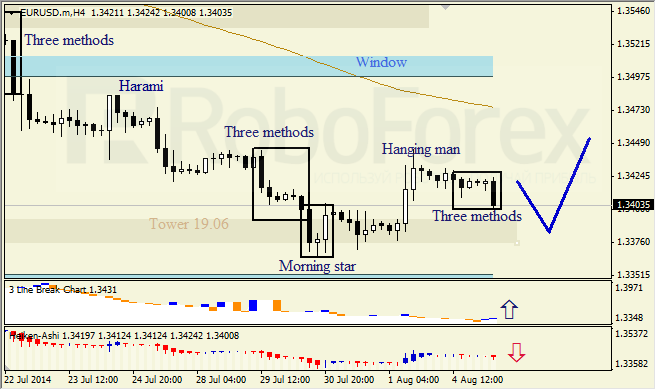 H4 chart of EURUSD we possibly see correctional phase within bearish trend, indicated by the «Morning star» formation. Three-Line break shows ascending correctional phase. Three-methods and Heiken Ashi candlesticks confirm bearish destination. 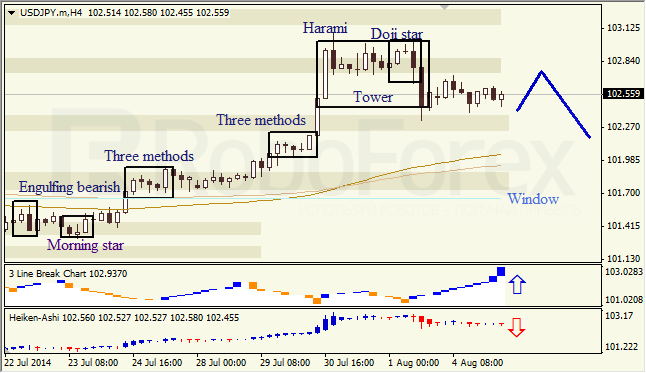 H4 chart of USDJPY indicates correction after ascending trend, indicated by the bearish Harami, Doji and Tower. Three-Line break indicates ascending trend, Heiken Ashi confirm continuation of the correctional move to the downside.